Amazon’s robot champion; Bipedal robot’s testing terrain; Robots thinking like predators; Major flaw in Turing Test; Google car is cyclist-aware and more. 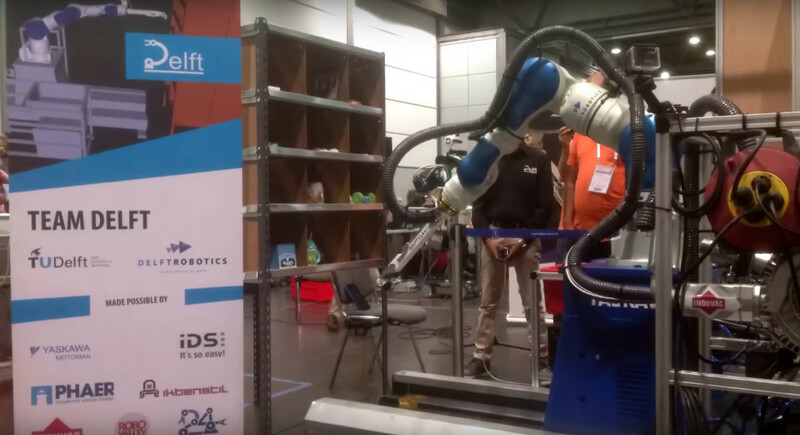 Find out what’s happening in our robotics universe this week. MARLO, a bipedal robot developed by researchers at the University of Michigan, is being tested with some success on the university’s “Wave Field” an art installation that has become a robot testing due to its challenging, uneven terrain. An adapted version of the algorithms MARLO uses have already been successfully deployed in a prosthetic leg, by Robert Gregg, an assistant professor of mechanical engineering and bioengineering at the University of Texas-Dallas. Allowing robots to act like predators could lead to more capable robots, according to a team of scientists at the Institute of Neuroinformatics at the University of Zurich in Switzerland. 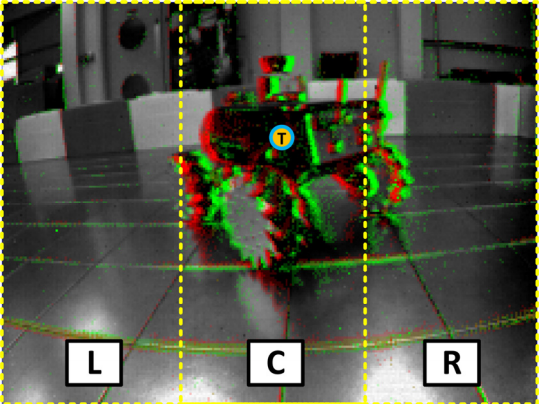 “The researchers aim to design software that would allow a robot to assess its environment and find a target in real time and space. If robots are ever going to make it out of the lab and into our daily lives, this is a skill they’re going to need. The researcher’s aim is not to create a breed of killer robot designed to take over the world, however. Robots with the ability to teach themselves how to follow a target effectively will make for excellent automated shopping carts and luggage bots, could improve companion robot effectiveness, and could our ability to create safe, autonomous robot swarms. 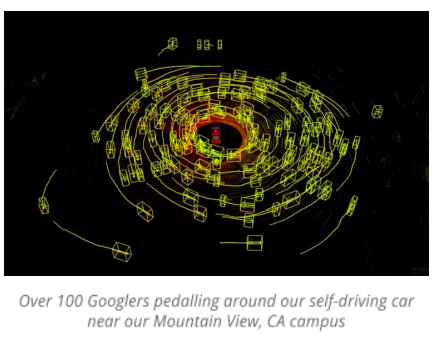 Good news for cyclists this week: Google’s robot cars are proving quite adept at recognizing various types of cyclist hand signals. “Cyclists often make hand signals far in advance of a turn, and our software is designed to remember previous signals from a rider so it can better anticipate a rider’s turn down the road,” said Google. This isn’t mere speculation on the authors’ parts. 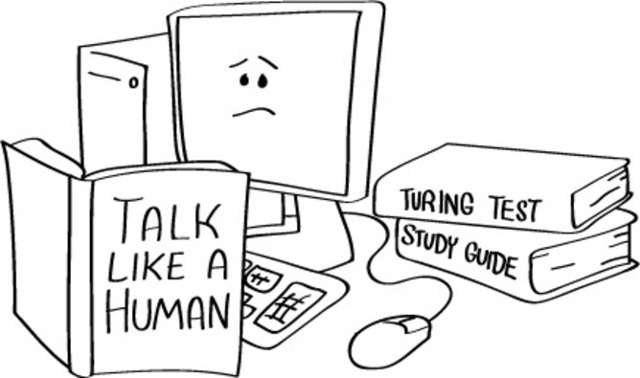 They studied transcripts of a number of conversations from actual Turing tests in which the hidden machine remained silent and found that In each case, the human judge was unable to say for certain whether they were interacting with a person or a machine. All of which means, that a machine could pass the Turing Test by remaining silent. Amid all the media stories about robots causing widespread unemployment (and worse, up to and including the end of the world!) it was great to read this piece by Peter Hirst, who highlights some of the social and employment benefits that telepresence robots can bring, from improving diversity among executive talent to removing some of the workplace barriers that people with disabilities must face.